L. Laurus nobilis (to honor or praise), Celt. laur (green), Eng. laurel, bay, “sauce of Apollo”. There is a conflict of opinions as to whether the name originates from Latin or Celtic. It is believed that the shrub originated in Asia Minor and spread throughout the Mediterranean. Today, laurel grows all over the Mediterranean. It is used as flavoring for sauces, soups, stews, pasta, sausages and pickles. 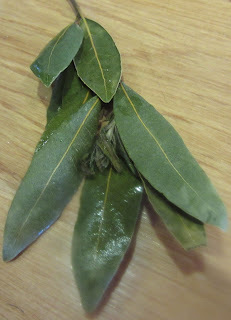 Dried bay leaves are preferred to fresh, which are bitter, but it is recommended to use them within a year as they loose their flavor after that. Their green fruits or berries, appearing in the fall turn brown when dried, are not as well known. Due to their bitter taste, they are best in strong gravies and hardy sauces. The Greeks named the plant after Daphne, who turned into a laurel shrub or tree to escape from Apollo, the Greek god of poetry, prophecy and healing, who was chasing her. From then on not only was the tree sacred for Apollo but he also wore a laurel crown in remembrance of the lady he lost. At Delphi, Apollo’s priestress, communicated his prophecies by giving oracles but first she always ate a bay leaf. The narcotic effect of the leaf put her into a trance. There the roof of Apollo’s temple was made of bay leaves, which protected against lightning, disease and witchcraft. Since, architectural moldings have been shaped like bay leaf wreaths. At the Python Games, begun in 582, in honor of Apollo the winners wore laurel wreaths to display their excellence. Poets too adopted this tradition. Later, Roman Emperors wore laurel wreaths as a symbol of Apollo. The leaf was dedicated to Aesculapius, the Greek god of medicine and Apollo’s son. Over the centuries, it has been used against the plague and other diseases. 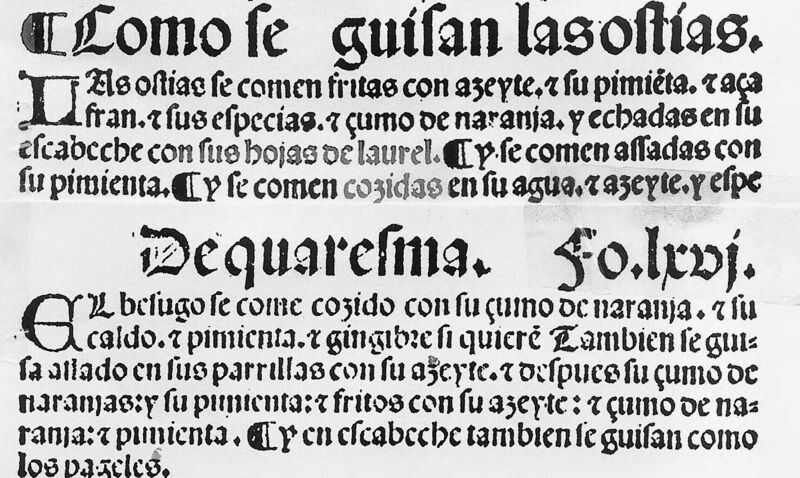 It is interesting to note that of the medieval manuscripts examined, Nola uses bay leaves with fish and shellfish. 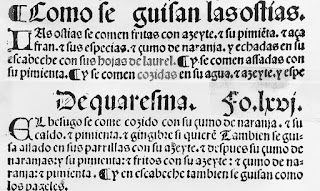 The 13th C Anoymous Al-Andaulus calls for bay leaves in a syrup. Fry oysters in oil. Add pepper, saffron, spices to taste oranges juice and bay leaves. Also they can be eaten boiled in water, with a splash of oil, and spices. First gently fry onion and oil in a frying pan; or the onion gently fried alone in the frying pan; and then add vinegar to taste, and herbs to taste. 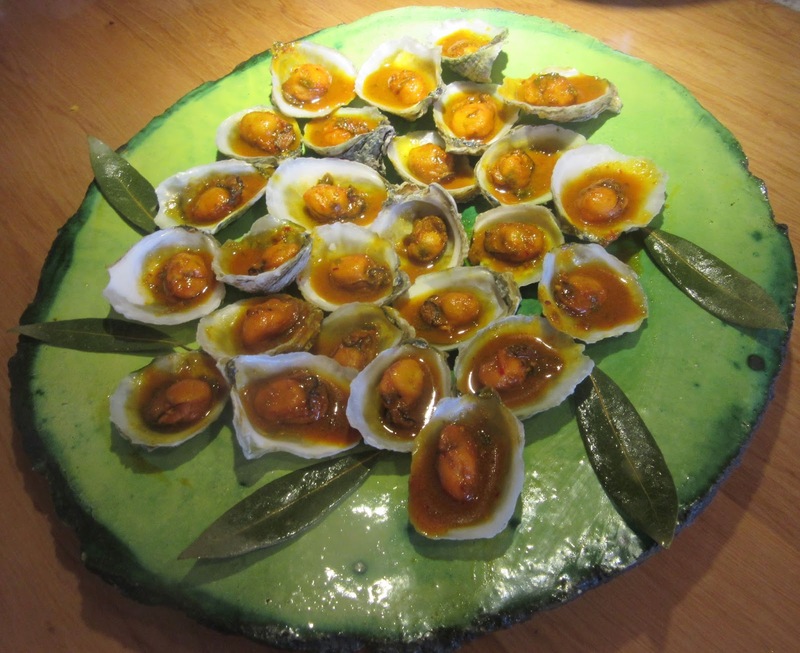 A fourth way of cooking oysters is in a casserole with water and oil, spices and herbs with onion previously sautéed. Add vinegar to taste. ½ tsp cumin, 1 tbsp minced capers and ½ tsp dried and ground mustard seed were used.